The world of telecommunications is expanding quickly as the cloud, 5G, the IoT, and other new technologies gain traction. The new dynamic is exciting, potentially lucrative, and extremely tricky. Where will capacity be needed? How should networks be configured and equipped to support the services businesses and consumers are demanding? These questions – and many more – must be answered on a continual and near real-time basis. Telecommunication service providers (TSPs) rely on wireless infrastructure providers to help meet these challenges. But times are tricky for these firms as well. Like any other business, wireless infrastructure providers have their strengths and their weaknesses, as well as their own trade group to advocate for their needs.¹ They are dealing with the same challenges as TSPs as they create and execute their roadmaps. As such, carriers must be aware of how providers are responding to challenges and industry changes, as well as how they’re performing. At some point, it may be time to replace or supplement your current partner to ensure you’re delivering the quality and range of services your customers need. What are the signs that a change is necessary? The most obvious, of course, is when a wireless infrastructure provider doesn’t have enough fiber inventory where the TSP needs it or if connections are too slow to support end users. Other signs are more subtle, but just as telling. Below are three signs your wireless infrastructure provider can’t deliver the products and services you need to meet current demands or expand your capacity. Modern telecom companies rely on a wider variety of infrastructure than before, especially when it comes to improving services with 5G. 5G will require “densification” – in essence, the insertion of a new layer of antennas, small cells and related equipment between end users and macrocell sites.² 5G densification requires the equipment itself, the real estate, and various forms of permissions to place the equipment and fiber for front- and back-haul. Wireless infrastructure providers can support for 5G with one or all of the above requirements. The best providers will even provide support at local zoning meetings if you’re putting up your own infrastructure on their real estate. Depending on proprietary assets, carriers can choose limited partners or those that offer all the services needed for 5G densification. 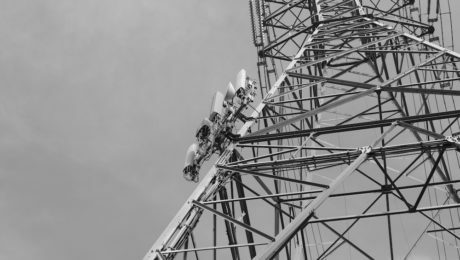 If your wireless infrastructure provider doesn’t have the necessary equipment and services, however, TSPs should start considering other options or risk falling behind the competition. It’s important for third-party infrastructure provider maintain a broad portfolio. Smart cities are a good example of why.³ Smart city is an umbrella term, with no two functioning smart cities working in the same way or requiring the same components to function. For example, one city may be focused on reducing energy use. Wireless infrastructure supporting that goal, such as IoT sensors enabling networked streetlights to turn on and off when it really gets dark and light, instead of at a preset time, is a key. Another city may make reducing emergency response time the priority, requiring specialized wireless equipment at first responder dispatch centers, hospitals, transportation hubs and other venues. 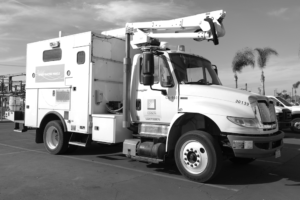 Carriers need different wireless infrastructure to support their community’s goals. If your current wireless infrastructure company doesn’t have the portfolio to meet those needs, then it’s time to augment them or find a new partner. 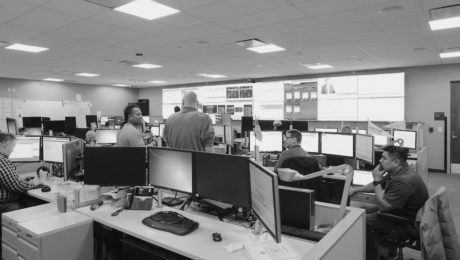 Local carrier network infrastructure providers are often the best choice in this case, as they’re focused on one area and in tune with each city’s goals. They’re more likely to have the options you need. SDN and NFV will relocate resources from the corporate data center to the cloud. Simultaneously, the real-time nature of many services – such as autonomous vehicles and robotic surgery – depends upon almost real-time operations. Thus, much computing is moving from the center to the edge of the network closest to where it will be used. Wireless will be an increasingly central part of the mix. It’s universally agreed that the world of telecommunications is undergoing unprecedented change. TSPs and wireless infrastructure providers work together to support the needs of businesses, consumers, and municipalities. Carriers are already well-educated on changes and aware of the type of support they need. But whether or not you choose a provider who offers a relatively short-term fix or a provider that can adapt and grow with you as a long-term partner is another story. 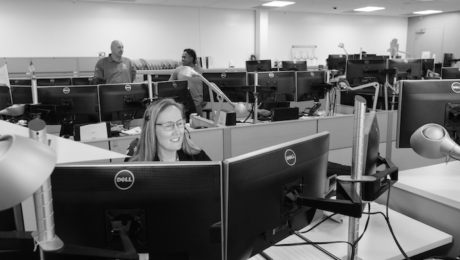 To find long-term partners, look for wireless infrastructure providers that are forward-thinking enough to consider advances like SDNs, while still being focused enough to serve a specific community with localized services. These providers ware more likely to have the infrastructure you need and the fiber network solutions to support your capacity growth. As an additional factor, look for providers that wholly own their network and infrastructure. Infrastructure providers often lease assets from other network companies. This makes sense, but it’s typically not optimal for TSPs because it introduces complexity and uncertainty. Companies that own the assets they offer are easier to work with and can provide a stronger guarantee in terms of maintenance and expansion, making it easier to work with them as you expand capacity over time.